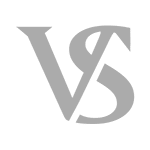 Child Neglect Defense : Meyer Van Severen, S.C. Individuals are often surprised how easy it is to be charged with child neglect in Wisconsin. Simply leaving your child (or a child you’re responsible for) in the car while you run into the store may be illegal depending on the circumstances. It’s not uncommon to think “my parents did this, I can do it.” Unfortunately that’s not the case, and when you least expect it you might need help from a criminal defense attorney. Criminal defense lawyers Matthew R. Meyer and Benjamin T. Van Severen provide child neglect defense. Not being aware that the child was under 18 years old is not a defense to the charge. Further, “intentionally contributed” means that the defendant has either the purpose to contribute to the neglect of the child, or was aware that his action (or failure to take action) was practically certain to cause the neglect. It’s important that your child neglect defense attorney understand the law. What is neglect? A child is neglected when a person responsible for the child’s welfare fails, for reasons other than poverty, to provide necessary care, food, clothing, medical care, dental care, or shelter so as to seriously endanger the physical health of the child. Being convicted of child neglect carries with it lifelong consequences. The conviction itself prohibits certain healthcare professionals from working in their field. There is a very negative stigma associated with any conviction involving a child. Our first goal is to prevent you from being convicted of child neglect. Why hire Meyer Van Severen, S.C.? We’ve handled these cases before. And we’ve achieved all kinds of positive results for our clients. We win trials. We convince district attorneys to not issue charges. While we can’t guarantee any specific result for any client, we believe that hiring a top criminal defense attorney is the best way to deal with cases like this. We’re not afraid to file motions. We’re not afraid to fight for our clients. If you’re looking for someone who is going to fight for you, contact us. If you don’t need a fighter, other criminal defense firms may do the job. Matthew Meyer and Benjamin Van Severen have achieved positive results for clients facing child neglect charges. Meyer Van Severen, S.C. provides child neglect defense. Contact us at (414) 270-0202 to discuss your case today.